As blogs, vlogs and social media channels become more commercial spaces, it’s essential that as an industry we self-regulate and ensure we’re being as transparent as possible. On the whole I don’t believe that readers mind in the slightest if a blogger is making a living from their site (if anything, it’s something to be celebrated!) but when they begin to feel manipulated and suspicious of every post, the tides start to turn. I’ve never had an issue with any collaborative or sponsored content on my site, because I’ve always been 100% honest and upfront about what posts have been paid for; my integrity and long-term relationships with readers are far more important than a quick buck, so I only ever feature brands or ideas that I genuinely believe are worth sharing. Despite that, many other sites and channels try and get away with declaring as little as possible – which only tarnishes everyone with the same ‘you’re pulling the wool over my eyes’ brush. Although the ASA (Advertising Standards Authority) are trying to regulate and set guidelines for this completely new industry, they’re unfortunately falling short and failing to act quickly or with enough gusto to really make a difference. Therefore it’s up to us as content creators to set the standards and ensure we’re as transparent as possible. WHAT DOES THIS MEAN FOR BLOGGERS? Clear declarations of paid for content, collaborative posts or promotional messaging is vital; spotting loopholes and trying to get away with non-declaration doesn’t benefit anybody. Over declaring is better than making your readers feel like they’re being lied to. More and more often I see articles, comments, tweets and conversations about whether blogs can now be trusted to provide an impartial review or commentary. Although we started off writing about our favourite foundation from the comfort of our bedrooms, now the bloggersphere is abundant with press samples and freebies that inevitably have an impact. This has definitely changed the landscape a little, meaning the products featured tend to be more the brands that get their blogger outreach right rather than the ones that just make great stuff. (That’s not to say that we don’t all feature genuinely great products, or things we’ve spent our hard earned cash on.) However, there are still incredible sites out there that offer more than love for every single thing that lands on their desk – this proves the fact that blogs still do offer impartial and valuable insight, like they always have done. For every individual that can be bought for a free lipgloss, there are three out there that can’t; that’s why I adore our little community and believe it will thrive for years to come. WHAT DOES THIS MEAN FOR BLOGGERS? Building trust really is the key to long-term success. Never letting a freebie impact your opinion will only ever benefit your readers; we should be leading by example and never giving the wider world a reason to question our integrity. that used to be relatively easy to pin down. Although growth will always be an important part of a blog’s success, it’s also important to cherish those readers that have stuck with you and enjoy your site on a regular basis – creating endless advice posts and ‘link bait’ while on the hunt for growth will only alienate current readers. WHAT DOES THIS MEAN FOR BLOGGERS? Creating quality shareable content is ever more important; quick wins may seem great at the time, but if in a year your site has evolved into something you’re not proud of it’s much harder to fix. There are no magic answer here! In a world where we tweet, upload, pin, snapchat, periscope and scroll every spare minute of the day, it’s no surprise that our attention spans are dropping considerably. It’s now reported that readers will only spend 2-3 minutes looking at a blog post, before they click elsewhere and start digesting something new. This has had a serious impact in our bounce rates, comments and shares, meaning that engagement is even more important than ever – the question is ‘how to we capture our reader and keep them there until the end of the article?’ A journalist told me this week “it’s not my job to create fabulous pieces of writing, but to engage my reader enough that she’s there with me to the very last word.” I love that quote; it’s not about the numbers, but the quality of those numbers that make a difference. Although every blog has its place, in my opinion building a community that really wants to digest every piece of advice or opinion you putout there is far more valuable than a million teenagers that just want to be like you when you grow up. Creating content that provides real insight, a viewpoint or valuable commentary is key to the long-term success of any site, so it will be thoroughly interesting to see where the next few years takes us. WHAT DOES THIS MEAN FOR BLOGGERS? It’s more than just reviews. Opinion pieces, tidbits of advice, lifestyle features, how to guides and so on are much more likely to encourage readers to get to ‘the end’ – and then leave a comment. For me, that’s much more satisfying than a tonne of hits. I work with some incredible brands and am lucky enough to have made this site my full time job a couple of years ago, but that doesn’t mean collaborating with brands is easy. Although some really do understand the power of blogs and want to invest in that area, the majority still don’t value this as a more effective medium than traditional glossy magazines. Samples are more scarce than ever (see above point on saturation!) meaning we’re often scrambling about to be the first to break news, budgets are continually slashed so we’re often expected to deliver something for nothing, and there’s still the age old fight about quantity versus quality. The brands that get the most out of blogs are the ones that listen to us and request input into their planning process; the ones that don’t simply make assumptions and don’t react to the changing nature of our industry – every three months there’s something new to get your head around and react to. Knowing when to walk away and decline an offer is a valuable skill, as is remembering why you started your blog in the first place; I don’t want my site to be ‘brand fodder’, but a place where people can come to be inspired. Picking the brands and products that help me do that has never been more important. WHAT DOES THIS MEAN FOR BLOGGERS? We shouldn’t be held to ransom by brands. Working with those that will only genuinely offer mutual benefit is the best way to illustrate the power of our medium, while making the whole process all that more enjoyable. 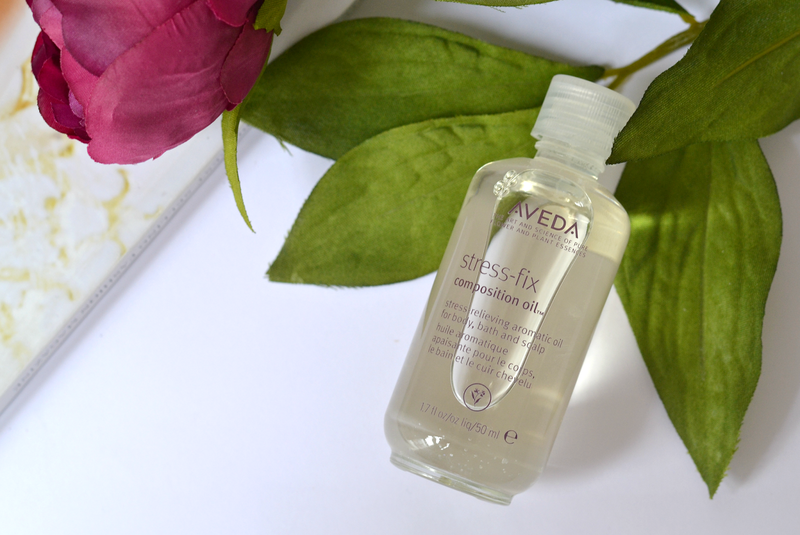 *PS – see what I did there with the ‘Stress Fix’ oil?! Thanks for writing this! I've been reading blogs for a few years now and started blogging over a year ago. I think you can see how much it's changed from being a place where you can share your opinions, reviews and everyday thoughts to a massive advertising space which is scary. I blog because I enjoy it and will continue to do so even though at the moment I don't make any money from it. It saddens me to know that there are bloggers out there that advertise products just for money, and people that then read that blog spend money on something that maybe isn't that great after all. It is nice to see that people like yourself are 100% with their readers, which to me has made you a person whose opinion I trust! Yas xxThe Not So Secret Lives Of Pizza LoversPs. Sorry about the Essay! Thank you for the essay ; ) Glad to hear that you relate and thank you for your kind words. I agree about bloggers that push dodgy products and readers that waste their money; I'm sure that happens all the time unfortunately. This relates so much to a post I wrote the other day about older bloggers and how we collectively need to stand up and be noticed. Too many blogs are 20-somethings with huge numbers, which brands want to work with without really understanding the value of their readership. Hopefully things will change sooner rather than later. Hear, hear! I seem to spend half my life searching for skincare reviews and makeup swatches from bloggers of my own age group and am usually inundated with fresh faced, enthusiastic teens or early 20's. It usually ends up making me feel worse …about myself AND about the potential product that I was interested in. Over 30's are a huge (and generally financially sound) market and it would be great to see some more love and representation. Cx(charlotteswebbeautyblog.wordpress.com)NB. Not to say that a (getting a bit too close to 40) blogger like me can't be enthusiastic but maybe with an added (addled?) touch of sarcasm and wit? Why on earth would anyone photoshop results?! To me that proves they don't care about their readers interests and are only out to make money. Such a shame. Thanks Lizzy – hope you continue to enjoy LBQ!